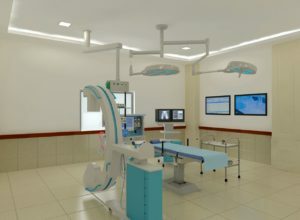 State of the art Surgical Unit/Operation Theatre specifically designed for breast surgeries by highly experienced surgeons will be available at the hospital followed by complete breast cancer management. To complete the hospital and run it successfully, Pink Ribbon needs your generous donations. You can donate us surgical unit or its equipment. Help Pink Ribbon in this lifesaving cause and let’s together defeat the Breast Cancer the Save every 9th Woman who is at risk of this killer disease.